After a three year search I finally got a hold of some Berdan primers. Saving approximately 1100 cases over that time from my son and I. Used RL17 powder and of course Tulammo berdan primers. Fired from one of my K-11's I was pleased with the accuracy. It's hard to beat the GP11 brass. Its on par with Nora brass. I use Reloader 15 as my go-to powder for my 175 grain loads. RL-17 dupes the original loading. GP11 brass is the same as the boxer primed 7.5x55 brass from RUAG. It's Swiss National Match brass, and beats Norma by a very wide margin. RE17 appeared around 1995 when Alliant added the RE powders to their inventories. Reloder powders come from the same munitions plant in Switzerland that first supplied the (now) RE17 for the GP11 cartridge. The only difference between then and now is that the coagulant formula changed a bit. RUAG Boxer Swiss National Match brass......... the finest on the planet. Ok. 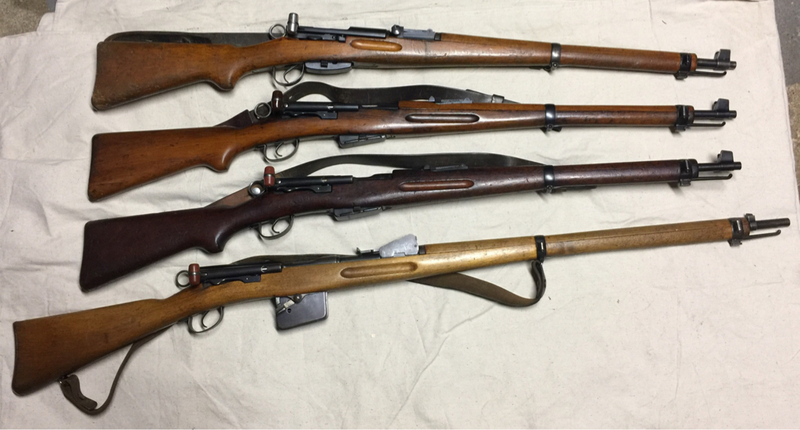 So here's how the American reloading part of it began for the k31, the G11's, the zfk55 and the Pe57. I don't remember the year, sometime in the 90's but a lot of shooters on the various Swiss Forums and elsewhere will remember better than I do because they bought it from me.......... My memory has gotten terrible......We brought in some 10,000 Ruag Swiss National Match Brass, but before that, I called Grafs and three other outfits asking if they'd like to front this buy and handle it themselves. "What? 7.5x what? For what rifles? never heard of them"..... So....... we brought it in. Within two weeks the whole bunch was gone. I called Grafs again. "What?!? You sold it all already?" Yep...... and I'm about to bring in another 50,000 of the same brass, and another 150,000 as soon as that's gone. I expect about a month. "Wait, wait wait! Do you want us to handle that?" I put them in direct touch with Ruag in Bern, and......... that's how it all began for US reloaders. I have an awful lot of Norma brass here, but if you really do a lot of reloading, you already know how soft Norma brass is. I can't remember how much RUAG brass we have, 3,000 or so, but if you anneal every 5 cycles, you're going to be working on that first 200 brass for an awfully long time. I have yet to have any RUAG brass fail on me, and you can guess how many rounds I've sent down range here over the past 18 or 20 years since we did that first import............ That incredible boxer brass was cut off for export maybe 10 years ago when RUAG began their Commercial Loads for sales to Europe. Can't remember for sure , but that's when Grafs began working with PRVI Partisan for brass and loaded cartridges and our own 18 year association with Graf's began. Now the last reserves run of GP11 in 1995 are running low, but RUAG began a new run two years ago. It's still that great Swiss National Match brass and still labeled GP11, but it's also still Berdan primed. The wax ring is gone since log term storage is no longer necessary, and the crimp is also gone. 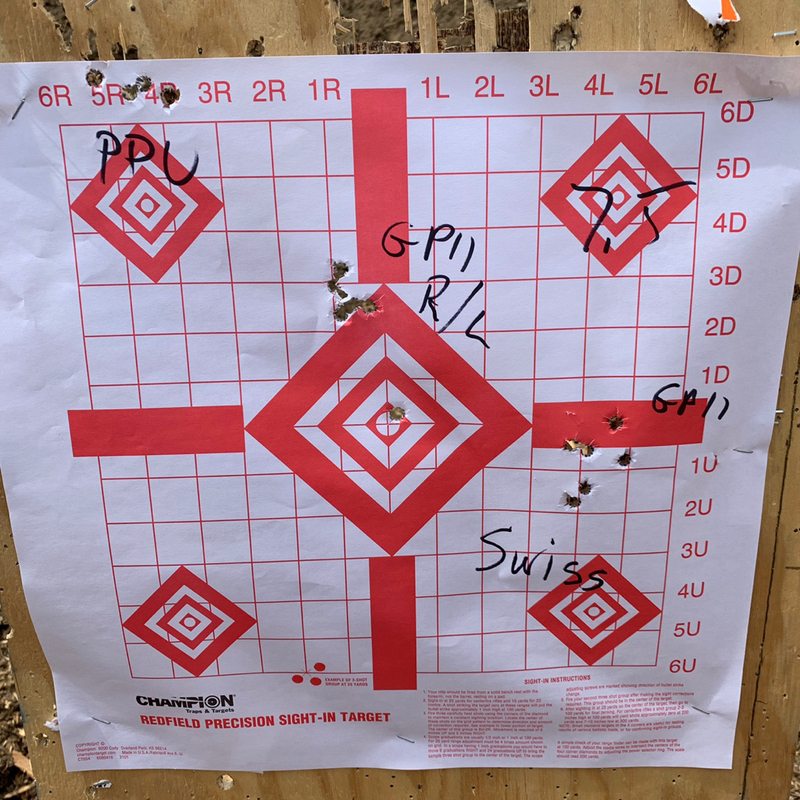 The last firearm in the Swiss Army requiring the crimp is the MG51, and that will very soon be replaced by the FN Minimi, so........ no crimp required for the 7.5x55 caliber with all the select mode rifles no longer in service.